"iPhone is Disabled Connect to iTunes" How to Unlock? Getting locked out of your own phone is nothing new and this problem has happened to many iPhone users around the globe. But the question still remains, how to unlock disabled iPhone? In this situation, most of the users panic and takes their phones immediately to the nearest Apple store. But instead of doing that you can try a few simple ways to unlock your iPhone! These methods are hassle-free and they are very simple. Irrespective of what iPhone you are using like iPhone 5/6/6Plus/7/7Plus/8/8Plus/X, you can try to unlock the device simply by using iTunes because the app can mostly do anything. You can also use Find My iPhone feature or a third-party tool called 4uKey to do it. Each of the methods is elaborated in this article so as to help you solve your problem. If you are locked out of your iPhone, the reason can be anything like constantly entering the wrong password or that you broke the screen of the phone and you are unable to enter the password then you can use the 4uKey tool. It is a third-party tool that comes from the stable of Tenorshare. It is an easy tool specially developed to unlock your iPhone without the help of iTunes and related restoration processes. No matter what the passcode is 4-digit/6-digit/custom numeric code/alphanumeric code/Touch ID /Face ID, 4uKey can remove it in minutes. If you don’t know how to unlock a locked iPhone then simply use this tool. 1. The first step of using this tool is to download and install the software on your computer. 2. Now, get a USB cable and connect your iPhone to your computer. 3. Tenorshare 4uKey will detect the portable device automatically then click on “Start” on the main interface. 4. After that, you will be prompted to download a firmware package. Select a location for the package and then click on “Download”. 5. After the firmware has been downloaded on your computer, you need to click on “Unlock Now” to start the unlock process. 6. After some time, you will get a fully unlocked iPhone and your passcode will be removed successfully. The complete procedure will take a few minutes. You need to stay connected for that amount of time. After the app removes the password from your iPhone you will be able to use the iPhone again. So, this is how to unlock a disabled iPhone without iTunes using 4uKey. No matter what the problem is, this app will unlock the device in a matter of minutes. 1. You need to start by visiting icloud.com/#find and enter your account with the help of your Apple ID. 2. Hit Find my iPhone and then go to the “All Devices” option. 3. A list of devices will be available to you, choose the one that has been disabled. 4. Now you have to click on the “Erase Device” option to erase the device. 5. Simply set up your iPhone now with a new passcode. It will take some time to erase the whole device remotely. This procedure will eliminate all the data on your iOS device and it will also remove the lock. Now, you don’t have to ask iPhone disabled how to unlock anymore. This particular feature can also be used to locate or reset your device remotely as well. If somehow you have lost your iPhone then this would be the best way to find it. 1. Run the iTunes app on your computer. 2. Now, connect a USB cable to the computer and leave the end. 3. Then, for iPhone X/8/8Plus, first tap the Volume Up button and then tap on Volume Down button. Then finally press and hold the Side button. For iPhone 7/7Plus, hold the side and volume buttons simultaneously until recovery mode and for iPhone 6 and earlier models, hold the Home and Top or Side buttons as per the model and wait for the recovery screen. 4. You will see a message “There is a problem with iPhone that requires it to be updated or restored." 5. Hit “Restore” and iTunes will ask you if you want to wipe out all the data and settings on your iPhone. Confirm the decisions and agree the terms. This is the complete procedure. After this, the lock will be removed from your iPhone as it will be restored back to factory settings. And you will be able to use it again! Getting your iPhone disabled is a very common problem but the solutions are a bit different. First of all, you have the option to fix it using the iTunes app. 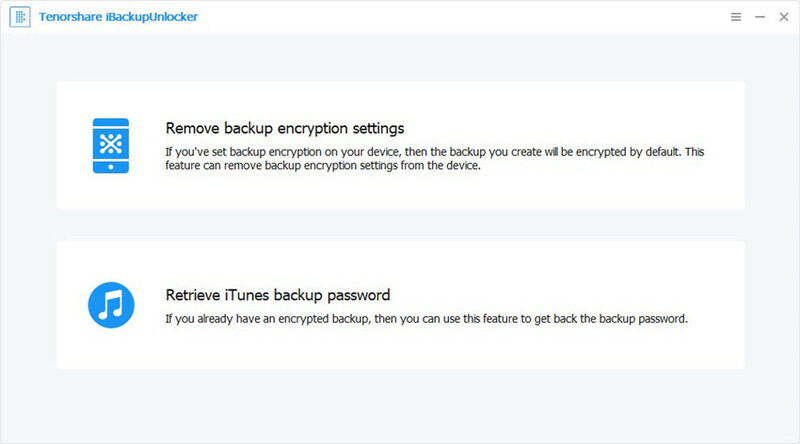 Restore the device with iTunes and the lock will be removed. The other option is to use Find My iPhone app, erase the device completely and the lock will be eliminated. Finally, the newly introduced third-party option called Tenorshare 4uKey will remove the lock efficiently without harming the data and it is by far the best method as it is the easiest way to get it done fast and effectively. Highly recommended!